This event, sponsored by Concawe and the European Wax Federation, was a follow-up of MOCRINIS I. The main goal of the MOCRINIS II was to bring manufacturers, downstream users, regulatory agencies, industry associations and also institutes and academia altogether to provide them with an overview of the main activities since MOCRINIS I. 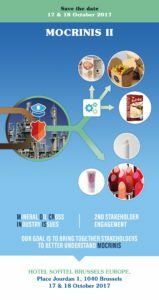 The workshop also included the review of manufacturing processes, toxicity, analytical methods, and risk assessment of mineral oils and waxes with a special focus on personal care products and food contact materials (packaging). Final programme of the event can be found here. 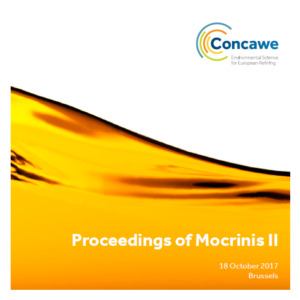 Find the Proceedings of MOCRINIS II here. If you would like to access the presentations of MOCRINIS I please click here. If you would like to access the Concawe brochure on Mineral Oils please click here.